MCLEAN, Va.--(BUSINESS WIRE)--Seventy-five percent of young professionals in the U.S. see business travel as a major work perk, with 65 percent considering it a status symbol, according to a recent survey1 commissioned by Hilton Hotels & Resorts. Hilton’s flagship brand today launches a new initiative to help the next generation of professionals make the most out of their work trips and navigate travel misconceptions. This effort will include partnering with relevant business travel experts, introducing an engaging social content series and hosting a new business traveler “boot camp” in the fall. With Five Feet to Fitness, maintaining a wellness regime is as easy as rolling out of bed. The revolutionary in-room wellness concept brings more than 11 different fitness equipment and accessory options into the guest room itself. Finding healthy meals has never been easier. Herb N’ Kitchen, Hilton’s modern in-room delivery service and casual dining concept serves up healthy grab & go options. Inspired by Travel with Purpose, Hilton’s approach to responsible travel and tourism, Meet with Purpose was introduced. Through the initiative, meeting professionals can choose from a variety of health-conscious menu packages, including “Yoga and Yogurt”– which offers yoga classes followed by a gourmet yogurt bar – or the “Cut & Create” salad – an interactive dining experience that lets attendees customize their meal from a unique, custom-made wood display of fresh greens and accoutrements. For more tips from Payal and Zanna, plus additional information on the Hilton Hotels & Resorts New Business Traveler initiative, visit newsroom.hilton.com/hhr/newbusinesstraveler or follow along on social via Facebook (@Hilton), Instagram (@hiltonhotels) and Twitter (@hiltonhotels) using the hashtag, #RightHere. For nearly a century, Hilton Hotels & Resorts has been proudly welcoming the world's travelers. With 575 hotels across six continents, Hilton Hotels & Resorts provides the foundation for memorable travel experiences and values to every guest who walks through its doors. As the flagship brand of Hilton, Hilton Hotels & Resorts continues to set the standard for hospitality, providing new product innovations and services to meet guests' evolving needs. 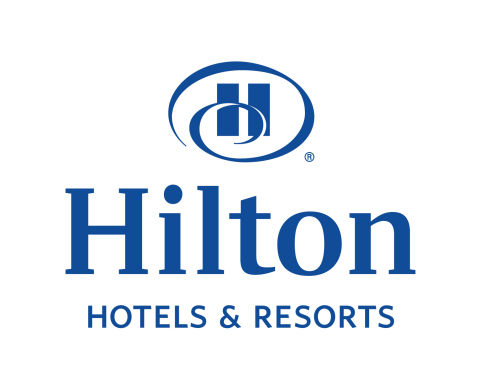 Hilton Hotels & Resorts is a part of the award-winning Hilton Honors program. Hilton Honors members who book directly through preferred Hilton channels have access to instant benefits, including a flexible payment slider that allows members to choose nearly any combination of Points and money to book a stay, an exclusive member discount that can’t be found anywhere else, free standard Wi-Fi, and digital amenities like digital check-in with room selection and Digital Key (select locations), available exclusively through the industry-leading Hilton Honors mobile app. Begin your journey at www.hilton.com, and learn more about the brand by visiting news.hilton.com, or following us on Facebook, Twitter, and Instagram. 1 Hilton Hotels & Resorts commissioned a 15-minute, online survey among a nationally-representative sample of 1,200 business travelers, ages 23-35, who stayed in a hotel (domestic or international) for business purposes at least once in the past 12 months in addition to a nationally-representative sample of 400 U.S. adults, ages 23-35, who have not yet started traveling for business but anticipate starting soon. The margin of error for both samples is +/- 2.1% at the 95% confidence level. The survey was fielded between March 6 – 19, 2018.